Ira Hinckley left his home in Coalville in 1867 for his new assignment, his family to come later. 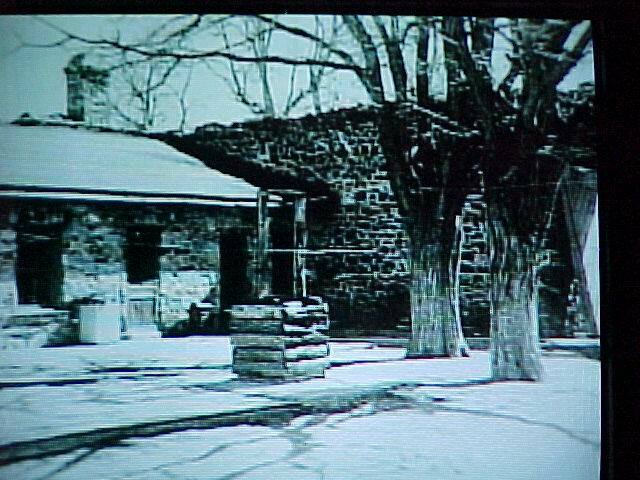 Tradesmen from central Utah settlements worked together, along with Hinckley to construct the fort in seven months. The fort is built of black volcanic rock and dark limestone quarried nearby. The walls are one hundred feet long, eighteen feet high, and taper from four feet thick at the base to two feet thick at the top. The roof, twelve interior rooms and the massive doors at the east and west ends of the fort were constructed of lumber. The doors were originally filled with sand to protect them from bullets passing through the doors. However, the doors have been emptied of the sand because of extreme weight and awkwardness. The fort bustled with activity for years. Daily, two stagecoaches arrived with a variety of weary travelers who were anxious for rest and food. On the many trips of President Brigham Young back and forth from Salt Lake City to St. George and the southern settlements, Cove Fort was always a stopping place. The kitchen and dining room bustled with activity. It was not unusual for Mrs. Hinckley to feed 75 people daily. Cowboys tended to the Church’s tithing herds and a blacksmith was kept busy reshoeing the horses and oxen of travelers and repairing wagon wheels. With a telegraph office at the fort and the Pony Express riders passing through, news of the great, growing West kept the Hinckleys from feeling isolated. The fort served an important function for nearly twenty years, but as times changed, so did the need for the fort. After 1900, the Church sold it to a private owner and in 1989 the Hinckley family purchased the fort and made a gift of it to the Church as a historic site. Shortly thereafter efforts were begun to restore the fort to it’s original condition. In 1994 President Gordon B. Hinckley (grandson of Ira Hinckley) dedicated the Historic Cove Fort Complex. Visitors are welcome free of charge. The fall of 1849, Brigham Young, President of the Church of Jesus Christ of Latter-day Saints, called fifty men to explore the regions south of the Salt Lake Valley under the leadership of Parley P. Pratt. This Southern Exploring Company passed through the Cove Creek area before returning home to recommend the settling of locations north and south of here. Within the next few years many of the familiar towns that now dot the map of southern Utah were established. The pioneers who built these towns traveled through the Cove Creek region, as did a growing number of travelers on Church and government business and immigrants traveling to further destinations such as California. 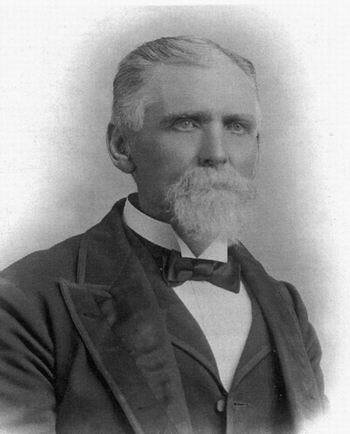 On 12 April 1867 President Brigham Young wrote a letter to Ira Hinckley asking him to take charge of building a fort on Cove Creek, located in central Utah a day’s journey from the town of Fillmore on the north or the town of Beaver on the south. This Fort, built instead of a town because of the scarcity of water, was to be a way station for pioneers traveling along the “Mormon Corridor”—settlements stretching from Idaho to Nevada connected by a network of roads, telegraph lines and postal routes. Being a man of action, Ira left his home in Coalville, Utah, on April 17th for his new assignment, his family to come latter. Between April and November 1867, quarrymen, stonemasons and carpenters from central Utah settlements labored together to construct the Fort. Built of black volcanic rock and dark limestone quarried nearby, the walls are one hundred feet long and eighteen feet high. Lumber, mostly cedar and pine, was used for the roof, twelve interior rooms and the massive doors at the east and west ends of the fort. For years the Fort bustled with activity. News of the great, growing West throbbed over the lines into the telegraph office at the Fort and postal riders delivered the news of the new western empire to the post office. Daily, two stage coaches with a variety of weary travelers rumbled up to the Fort. 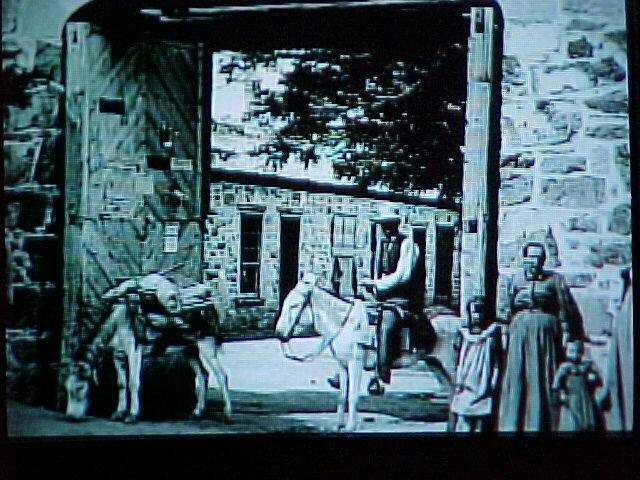 Travelers unhitched their teams from their heavily loaded wagons and led the horses to the barn. Cowboys tended the tithing herds and a blacksmith fashioned metal into horseshoes with his hammer. Evening conversation was lively around the long table where each night a new variety of visitors joined the Hinckley family for dinner. For more than twenty years the Fort served an important function, but as times changed so did the need for the Fort. By 1890 the Church leased out the Fort and after the turn of the century, sold it to the Otto Kesler family. Nearly one hundred years later in 1988, the Hinckley family purchased the Fort from the Keslers and made a gift of it to the Church as a historic site. Shortly afterward, efforts to restore the Fort to its original condition were begun, and on 21 May 1994 President Gordon B. Hinckley, then First Counselor in the First Presidency, dedicated the Historic Cove Fort Complex. The Fort contains 12 rooms, 6 on the north and 6 on the south. Each room has a fireplace. Originally located in Coalville, Utah, this cabin was the home of Ira Hinckley and his family. Here they lived a life of simple devotion that included family prayer and scripture reading. While living in this cabin in April of 1867, Ira received a letter from Brigham Young asking him to leave Coalville in order to supervise the construction of a fort at Cove Creek. He was advised to leave his family in this home while the fort was being built. He then moved his family to the newly completed fort where he managed the forts operations for the next decade. It is not known whether Ira built the cabin himself. See pictures of Ira Hinckley’s cabin. The barn was the second largest structure on the old Cove Fort complex site. It was built with heavy timber construction 60 feet square and 30 feet high. The timber was squared and held together with hardwood oak pegs that were imported from outside the territory. Homemade pine shingles were hammered onto the roof with square nails. The main purpose of the barn was to care for the stock and equipment used by the occupants of the fort and others who maintained operations at the site. However, the barn proved an excellent lookout post because of its height. The barn sheltered horses owned by the Hinckley family and also by visitors to the fort. Well cared for horses were essential to mail carriers and stage coach passengers. The barn was as necessary for nineteenth century travelers as gas stations and auto repair facilities are for the modern traveler. The barn was also indispensable in the day-to-day operations of the fort. See pictures of the barn. Ira Hinckley, who learned the trade of blacksmithing as a young man living in Nauvoo, established and ran a blacksmith shop at Cove Fort. His skills were essential in providing shoeing services for the horses of the stage coach lines and postal express riders. Freighters and settlers who passed through Cove Fort were also in need of the skills of a blacksmith for making wagon and equipment repairs. Ira was prepared and willing to help any and all who could benefit from his service. Because of the large demand for smithing work, Ira probably employed other blacksmiths at various times. See pictures of blacksmith shop.